Earliest Timed Entrance: 9 am or 9:30 am (season dependent). Latest Timed Entrance: 2:30pm or 3pm. 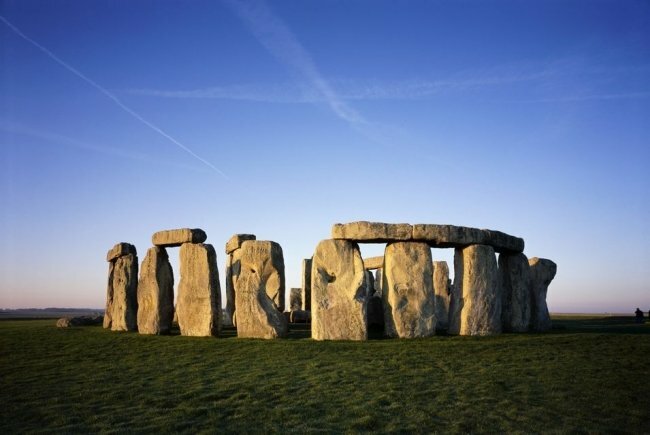 You can visit the Stonehenge World Heritage Site most of the year. We are comparing Stonehenge Admission Ticket Prices from leading ticket suppliers and Try to find you Cheap tickets prices on the market. The Stonehenge Admission Ticket is a timed ticket that allows you to enter and examine one of the most famous Neolithic sites in the world. As part of this entertaining activity, you can take a walk around the installed stone circle that never fails to fascinate its observers. Who knows, maybe you will be able to fathom how the prehistoric people succeeded in constructing the site of such proportions with simple tools and technologies they had at disposal. The Stonehenge World Heritage Site also hosts a visitor exhibition centre, displaying various findings collected in the vicinity. Finally, get yourself acquainted with the way of life led by the people of the Neolithic age. If you are interested in prehistoric sites, wonders of the world and archaeological findings, you will enjoy visiting the Stonehenge. Also, this place is quite photogenic regardless of weather conditions, so stop by to take some great photos. Your Experience With Stonehenge Admission Ticket? With this timed ticket, you gain access to one of the most famous and strange Neolithic sites all over the world. Once on this ancient locality, you can examine the unique work of the Neolithic people that draws thousands of fascinated visitors. While there, you can’t help yourself but to wonder how these ancient people managed to construct such a masterpiece without the aid of todays advanced technologies. Also, you will get to know the way of life led by the Neolithic people in a nearby exhibition area. Enter their houses and take a look at the tools and items they used. Examine the findings excavated from the Stonehenge World Heritage Site in the visitor centre. Feel free to talk to the volunteers and learn what materials and techniques Neolithic people used to construct their houses. Most of all, take a walk around the Stone Circle. What Stonehenge Admission Ticket Includes? Admission ticket to the ancient site of Stonehenge. Entrance to the exhibition centre. For the best experience, try to arrive earlier during the day. Walking along the path encircling the monumental stones is much better with fewer people around you. Travelers Reviews about Stonehenge Admission Ticket? The ratings of this tour by former visitors are: 4.7 out of 5 on Get Your Guide, 5 on Viator and 4 on TripAdvisor. People that visited Stonehenge point out that you can't get in the middle of the stone circle, just to walk around it. Also, be patient a few miles before the site since the traffic tends to be heavy. Directions: the location of the Stonehenge is off the A360 road, at Airman's Corner. The nearby parking lot is free for holders of Stonehenge tickets. Both paper and mobile vouchers are valid for the visit to the Stonehenge. When you book a ticket for this activity, you will receive a quick confirmation of your purchase. Each provider offers a different cancellation policy. Both of them, however, allow you to receive a full or partial refund of the ticket's price for timely cancellations. Note that only advanced bookings guarantee you the access to the Stonehenge World Heritage Site because of the enormous popularity of the place. The location of the Stonehenge is off the A360 road, at Airman's Corner.